Today is the third Tuesday of the month, and that can only mean one thing - the February Hat is here! This year we’re releasing a new, free hat design the third Tuesday of each month here on the blog made in Germantown. Germantown is a soft, durable, 100% N. American Wool with ample yardage at an uber affordable price point. Find all 18 colors of Germantown here, along with a list of all our stockists here. 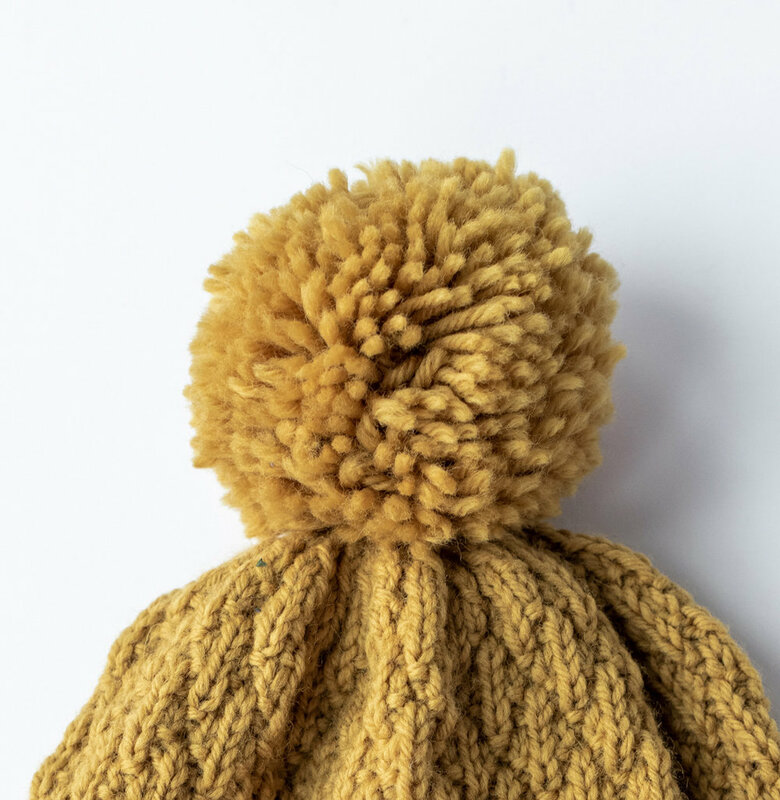 When thinking about what I wanted to do for my first contribution to the year of hats, I took a bunch of elements of knitting I really, really love - a folded brim, textured stitches, stripes, and a pom pom - and incorporated them all into the design. The February Hat begins with a provisional cast on, and then a deep one by one ribbing is worked to create the folded brim. The body of the hat is worked in four different textured patterns that incorporate slipped stitches, knits, and purls. Simple decreases shape the crown, and a squishy dense pom pom completes the look! You can view more images and download the free pattern via Ravelry here.